Produced by Curt Cuomo. Engineered by Rob Jacobs, Frank Rosato and Bill Dooley. Recorded at A&M Studios, Hollywood; Brooklyn Studios, Los Angels; Rumbo Studios, Canoga Park; Woodcliff Studios, Sherman Oaks; Cheyenne Studios, Woodland Hills. Mixed at Brooklyn Studios, Los Angels; Woodcliff Studios, Sherman Oaks; Master Control, Burbank. "You're Gonna Be The One" co-written by Paul Stanley. Paul provides guitars on this song as well. 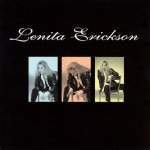 To support the album, Lenita Erickson did a small European club tour in September 1996 with Bruce Kulick as her guitarist.